Luis remembers when he got the letter from College Success Foundation during his third year at Eisenhower High School in Yakima, Washington. At the time, he knew his options for a college education were very limited. “I had no idea what CSF was about—all I knew was it had the words ‘college’ and ‘success’ in it,” he says. Little did he know that this letter would be the catalyst for changing his life and mark the beginning of a series of events that would lead him down the path to a college degree. Born in Mexico, Luis came to the Yakima Valley with his family when he was 6 years old. He thought his immigration status would get in the way of pursuing his dreams, so he didn’t try as hard during his freshman and sophomore year. “I didn’t take any of the classes I needed, I wasn’t involved with any sports or clubs, and I wasn’t connected with school as much. I couldn’t think much beyond high school,” he says. Then he got the letter from CSF inviting him to apply for CSF Achievers, a college pathway program for eleventh and twelfth graders. He showed the letter to one of his mentors, a professor at Heritage University, and she encouraged him to go for it. “That was the first time I reflected on what my aspirations were,” he says. Luis began working with Yolanda Guzman, the CSF College Prep Advisor at Eisenhower, who became his primary mentor and support. She exposed him to a variety of opportunities inside and outside of school, including a summer program for business and leadership at Central Washington University. She also encouraged him to run for senior class president after his English teacher, who saw his leadership potential, gave him an application. Through CSF, Luis found out about a competitive full leadership scholarship to Heritage University near Yakima. The transition from high school to college was difficult for Luis. He struggled to adjust to college culture, and there were many times he became frustrated and wanted to quit. “Learning and being exposed to new things was really exciting for me,” he says. Luis graduated in spring 2017 with a Bachelor of Arts degree in Business Administration and a concentration in entrepreneurship, becoming the first member of his family to earn college degree. He dreamed of working for a nonprofit organization that would help the community. “I think business is a form of leadership, and I knew I wanted to continue organizing and helping other people,” he says. 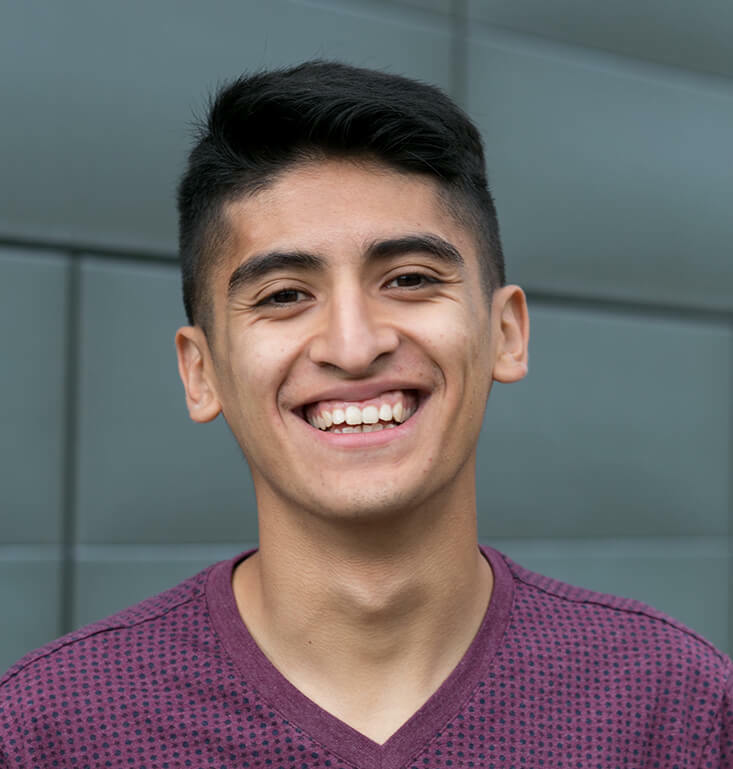 After graduation, Luis began working for a Yakima Valley nonprofit foundation which focuses on education, health and wellness, and civic engagement. Luis recently took the lead in organizing the first CSF Yakima Alumni Mixer and forming a regional alumni group. Their goals include mentoring and creating a support system for CSF high school and college students, working on a summer melt program, and fundraising for scholarships. Through this group, Luis aims to inspire other first-generation college students.